This stylish moustache-shaped tin comes filled with facts that every true gentleman should know: from whisky facts and car trivia through to dinner etiquette and moustache grooming, this is the essential game for your gentlemanly gathering. I say, dear fellow, pass the trivia, there's a good chap. Gratitude, old sport! For the more refined amongst us, there really is nothing more stimulating than a good game of Gentleman's Trivia. 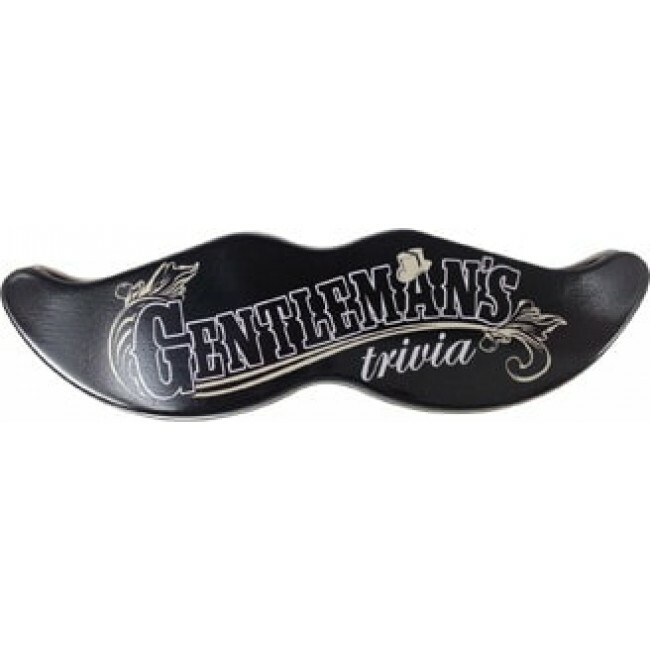 This stylish moustache-shaped tin comes filled with facts that every true gentleman should know: from whisky facts and car trivia through to dinner etiquette and moustache grooming, this is the essential game for your gentlemanly gathering. Jolly good show!